President Buhari has written to the Senate seeking confirmation and renewal of the appointment of Omolola Abiola Edewo as Executive Director Corporate Services, Nigerian Deposit Insurance Corporation (NDIC). 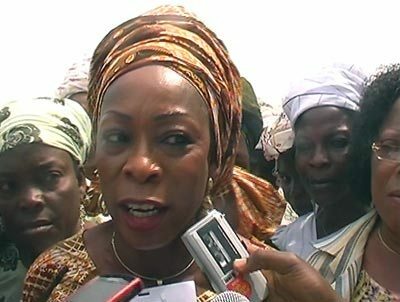 Ms Abiola Edewo is the first daughter of the acclaimed winner of the 1993 presidential election. She is also a former member of the House of Representatives. Her re-appointment will launch her into her second term as executive director of the corporation. The president’s request was contained in a letter which was read out by the Senate President, Bukola Saraki, on Tuesday. Enter your reply...you nor like Ojukwufra? Biafra kor! Idi amin ni! Enter your comment...Biafra kor! Eze ego ni!